As a brand new series of Modern Life Is Goodish is underway, I've been asked if I'll be reviving my competitions for my mailing list... and yes, as and when there's something to give away, I will. If I can, I use things from an episode that's already gone out - that way, the prize doesn't act as a spoiler for what's coming up. 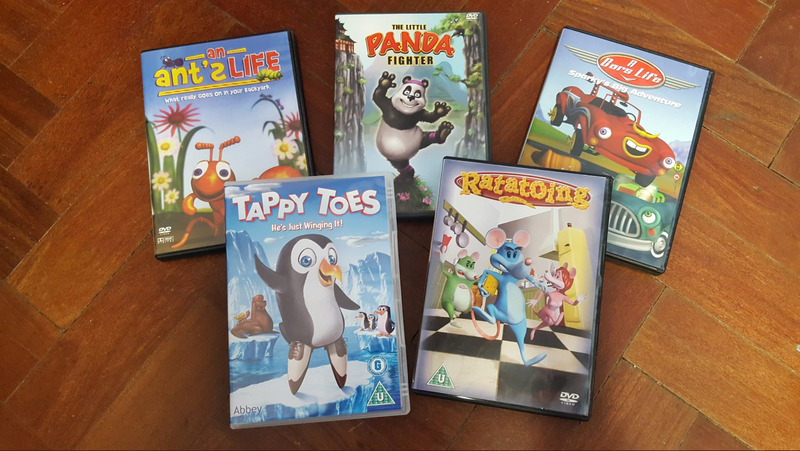 Which is why the prize for this week is going to be this assortment of terrible mockbuster cartoons. To be in with a chance of winning these - and who wouldn't want to own them - you need to be on my mailing list. I'll email a reminder for the new episode on Tuesday along with a question about that night's show. All the people who send an email to a secret address with the right answer go in the hat. One (un)lucky person will win the DVDs. Simple. By the way, it's okay, I think everyone involved in the show already gets the irony in the title Pointless Celebrities. It's on Saturday at 6pm. On BBC1.